The angry bird is one of the favorite game characters of my nephew Vince. Lately some member of my family was eaten again at Isdaan in Calauan, Laguna. Every kid eaten in this place they give a free angry birds balloon and a little wrapped of candy. 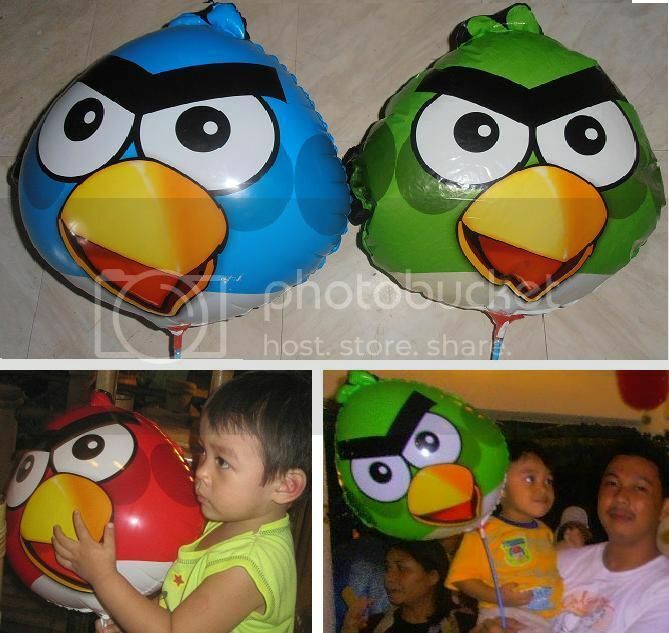 Here is the photo of Vince and his angry birds balloon together with my hubby :-).